Our goal at Parkway Orthodontics is orthodontic care with long-term results. Retainers are appliances that hold teeth in their final corrected position. Teeth will shift without proper retainer maintenance. We fabricate customized retainers to preserve the alignment of your teeth at the end of active orthodontic treatment. Bonded retainers contain small wires attached to the back of your front teeth. In the past, large metal bands held together bonded retainers. Now, we custom make these wires in a laboratory. The day your braces come off, the wire is directly attached to the tooth surface on the tongue side of the teeth. Make sure to brush and floss with floss threaders if you have a bonded retainers. This improves your results. 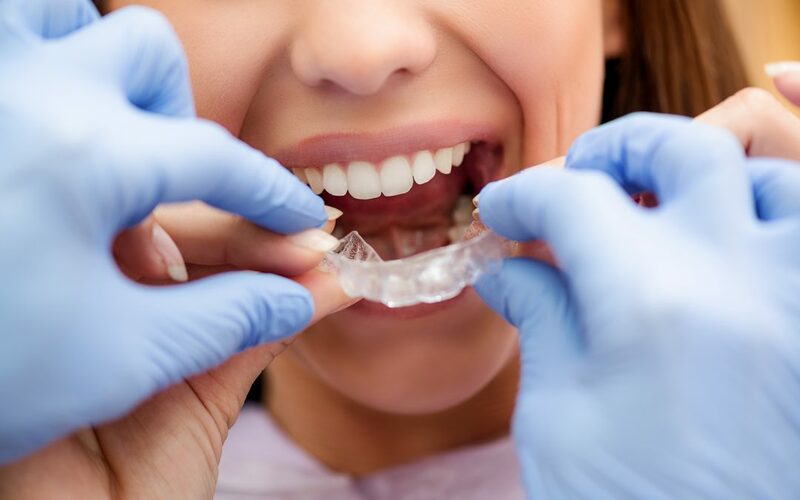 A clear retainer is made of a thin, clear plastic custom made to match your teeth. Typically, when we remove your braces, we take an impression of your teeth and the laboratory custom makes a clear retainer. This retainer is very esthetic and is made quickly. So, it can be worn during social times such as school or work. You can wear Traditional Hawley retainers at home. And you can wear a clear retainer for social events. Hawley retainers contain a hard, durable acrylic with custom formed stainless steel wires. A Hawley retainer is a long-term retainer. You can wear removable retainers full time the first year. A good rule of thumb is clear during social time, Hawleys at home. You can wear Hawley retainers long term at night after your first year. Retainers are an essential component of your orthodontic treatment. They help maintain that beautiful smile you have worked so hard to achieve. Contact us today to see how we can help you achieve a beautiful smile!